One of France’s most important contemporary poet’s inaugural publication in the English Language. a priori.” Beck’s deftly textured poems interweave contemporary commentary with cultural, historical, literary, and philosophical allusions, drawing the reader into a world of lived poetic experience. Philippe Beck is a poet as well as professor of philosophy at the University of Nantes. He has published over 15 volumes of poetry as well as a number of theoretical works including, most recently, Contre un Boileau: Un art poétique (Fayard, 2015). Beck was awarded the French Academy’s Grand Prix de Poésie (Grand Poetry Prize) for his body of works in 2015. 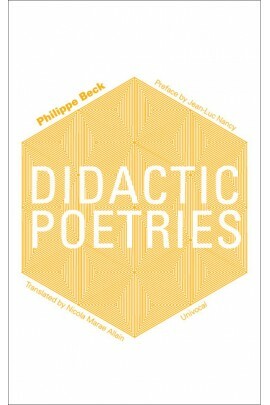 My Tweets from the November 1st Launch of Philippe Beck’s Didactic Poetries in translation. 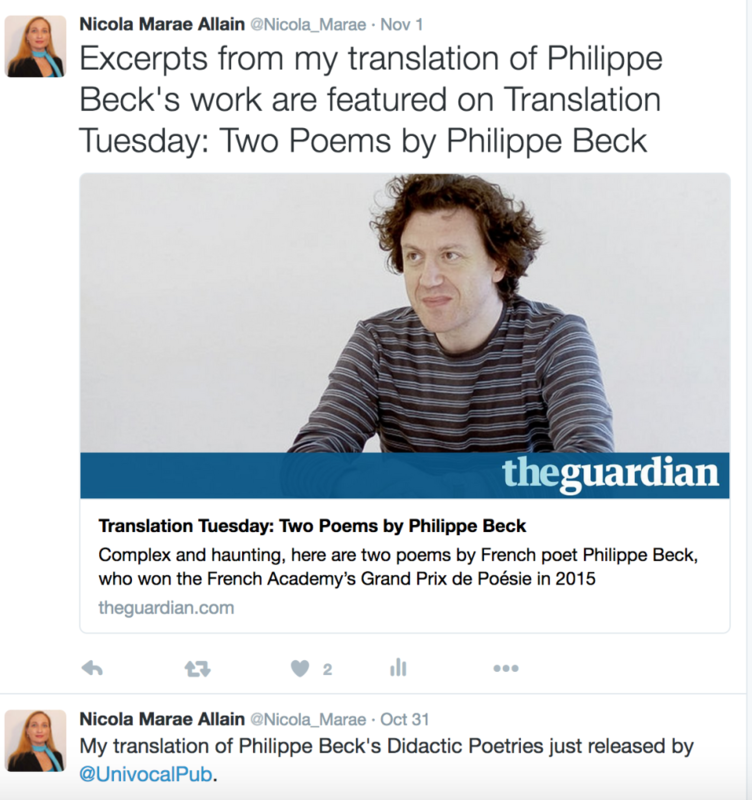 This entry was posted in Publication and tagged Philippe Beck, Poetry, Translation, Univocal Publishing. Bookmark the permalink. © Nicola Marae Allain, Ph. D.